figma Kagami Hiiragi: Winter Uniform ver. The older, more reliable of the twin sisters, figma Kagami! 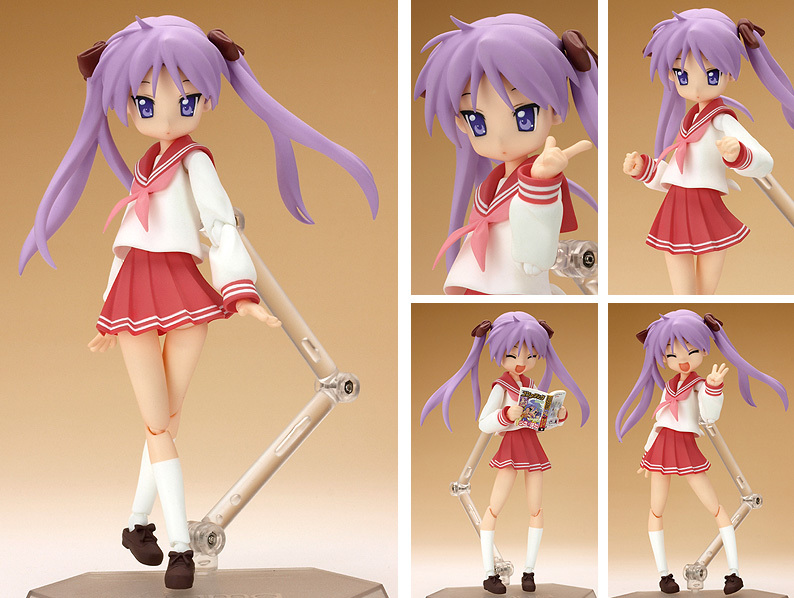 From the anime "Lucky Star" comes a figma of the most serious of the close friends, Kagami Hiiragi, wearing her winter uniform! - The new joint parts allow for a smooth look, yet poseable movements, allowing you to pose many different scenes. - A flexible plastic is used for the uniform and skirt, allowing the proportions to be kept, without compromising the posability. - Two separate face parts as well as many different hand parts are included. The hands for the pose in the opening theme are also included. - A removable magazine is included and her characteristic twin tails can also be changed. - It's possible to change her face with other Lucky Star figma faces. - Comes with a poseable figma stand that makes it possible to recreate various scenes.